The under-reporting of the possible side effects of heart damage from cancer drugs puts (myeloma) patients at an increased risk for heart failure, according to two researchers at the Stanford University School of Medicine. Once you’ve been diagnosed with multiple myeloma, you may feel pressure to begin your therapy immediately. Your stage and symptoms such as bone pain, anemia, and kidney damage will often lead to your therapy plan. Hopefully, you’ve gotten a second opinion — and an important but often overlooked step of this decision-making process is an evaluation of potential side-effects from the treatments you are considering. Conventional cancer therapies such as surgery, chemotherapy, and radiation can cause collateral damage aka side effects. Some side-effects may be short-term and temporary such as hair loss and nausea. Some side-effects may be long-term. And some side effects can be late-stage and occur years after your treatment ends. I suffer from chemotherapy-induced heart damage causing atrial fibrillation (chronic A-Fib). My afib began in the fall of 2010, 16 years after I had the induction chemo and autologous stem cell transplant that caused this late stage side effect! The key for cancer survivors is to use knowledge of your therapies and try to identify short, long-term and late-stage side effects and then find supportive protocols to try to reduce or eliminate these side effects. As the saying goes, “experience is the best teacher” I have learned a lot about short, long-term and late-stage side effects from my surgery, induction chemotherapy, radiation, and autologous stem cell transplant. Click Now to watch a free webinar about the Multiple Myeloma Cancer Coaching Program that I designed based on my own MM experiences. Learn about evidence-based, non-toxic therapies to reduce the risk of short, long-term and late-stage side effects. Scroll to the bottom of the page and ask me a question. Knowledge is power for newly diagnosed myeloma patients. What chemotherapy regimens are you considering? 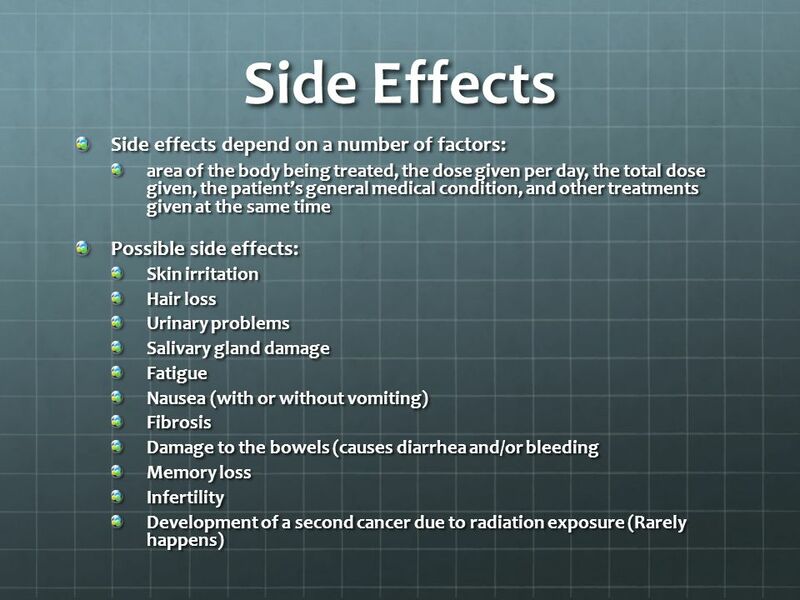 What treatment side effects are you currently dealing with? Please scroll down the page, post a question or a comment and I will reply to you ASAP. Can side effects be fixed?